Ria was born January 5, 2012. She earned her Canadian Champion in just a few weekends and picked up her FDJ in three straight legs with almost no training whatsoever. 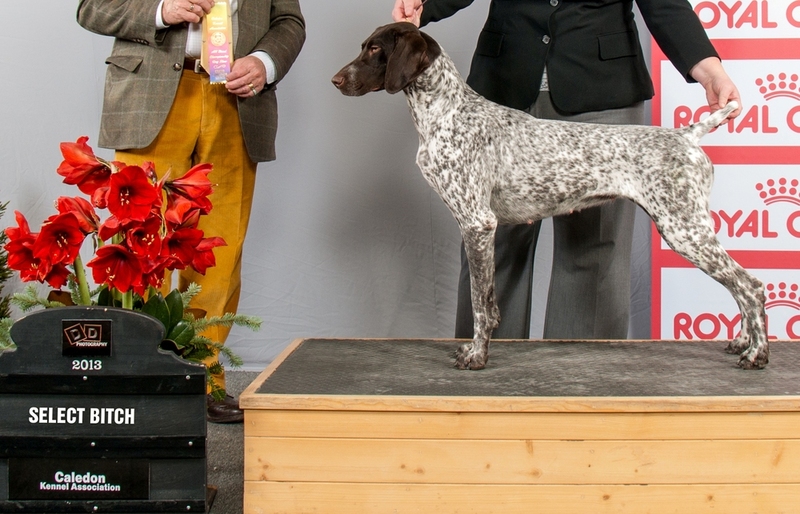 Ria is a Brodie (MBIS, MBISS, Am/Can GrCh Legacyk Blue Sunday, CGC) x Diva (BIS, BISS, Am/Can Ch Flowercreek Marquis Goin' for the Gold) daughter and was bred by Nancibeth Koutstaal. Ria is adored by her Guardian family and voluntarily helps keep the geese and birds under control on the golf course behind her house.